Music is your passion. We get that. It’s our passion, too! Our focus for over 5 decades has been on high quality music systems, and that often means a dedicated system in a particular room. But many people would like music in nearly every room, and even outside. Rotel's specialty retailers and custom installers today can provide you with exceptional music systems that play anywhere that you want to listen, from whatever source you desire, be it streaming music from an iPod, Android device, tablet, CD player, or old fashioned vinyl. Plus, you can have remote control wherever you listen with the ability to turn the system on and off, change volume, select music tracks, and mute the system among other features. We are world-renowned for our amplifier designs and we design and build multi-channel amplifiers for whole house audio systems with the same care and precision evident in our stereo and theater amplifiers. Some manufacturers consider multi-room audio as "background" music systems and do not give it the same level of design effort as a primary system. We believe you deserve the best quality of sound wherever and whenever you choose to listen. Even at low levels – indeed, particularly at low levels – quality sound can make the mood with full bodied musicality. But when you want to get the house rockin’, the benefit of capable amplification is obvious with a low distortion, satisfying performance that rivals stand-alone systems. In a multiroom system where the control interface is the most visible aspect, the amplifier may not seem the obvious component to focus on, but consider that it will largely determine the sound quality of the entire house. Rotel’s multiroom amplifiers offer enough power per channel to easily power even larger speaker systems, and more importantly, offer a degree of sonic refinement unmatched in this category of product. Investigate our design philosophy, take a look at our build quality, and then ask for a demonstration at one of our authorized dealers. What constitutes a whole house audio system? The term “Whole House Audio” (also sometimes referred to as “Distributed Audio”) is really a very general term and it can apply to a number of different system designs and concepts. No matter how it is achieved however, the fundamental principle is that the audio system is not limited to just a single room anymore. Of course, with a category as broad and customizable as whole house audio, there isn’t one “best approach” to designing a system. It could be as simple as adding a pair of speakers onto the second zone output of your home theater receiver to play music in the kitchen or patio, to a fully controlled system that allows you to play music in every room of the house, including different sources in each room, some rooms with video as well. The most common approach to a whole house audio design is to have custom installed speakers strategically placed throughout the house in the desired areas. Most speaker manufacturers offer a wide array of loudspeakers that are intended to be discreetly installed in the ceilings or walls, along with weatherproof designs for outdoors. Typically the amplification to power all of these speakers throughout the house is handled in a central location, usually an equipment rack that might be tucked away in a closet or other out of sight area. The equipment rack would likely also house a few desired music sources such as Sonos, Apple TV or a tuner for example, as well as a preamp and/or control system to help you choose what you want to listen to wherever you are in the house. Just about any source that may be used with a Music System or Home Theater could also be used for a whole house audio system. Typically sources that don’t require physical media make more sense here (who wants to walk to the basement equipment rack to change the CD? ), but there is no real limit to sources, and sources can be located “in-room” if desired (for instance, a CD player) even if other sources are remote located to be out of sight. Whatever you want to listen to throughout the house can usually be arranged! There are no hard and fast rules for speakers for whole house audio. Typically, the room or location would determine the best choice. For example it may be best to use in-ceiling or in-wall speakers to keep the speakers hidden and unobtrusive in many rooms. The kitchen and bathrooms are ideal places for in-ceiling speakers. However there is no reason you couldn’t integrate more traditional bookshelf or floorstanding loudspeakers into the system if you prefer for another room, perhaps the living room – and, again, Rotel multichannel amps are fully up to powering virtually any speaker you might choose for a given room. There are plenty of more specific application speakers as well, such as speakers designed for outdoor use, and dual tweeter speakers for small areas rooms where installing a pair of speakers wouldn’t make sense; Rotel distribution amplifiers also allow any pair of outputs to be set to “mono” to achieve the same result with a single conventional speaker. Once the speakers have been determined, the next step is determining the appropriate amplification for them. Our Stereo 101 article goes into some detail on choosing an appropriately powered amplifier to match up with the power requirements of the loudspeakers, so we won’t cover that again here. When choosing the right amplifiers for a whole house audio system some additional requirements come up beyond power output. First of all, how many channels of amplification are needed? If you are only adding one or two rooms of audio a stereo amplifier or two may be all that is needed. 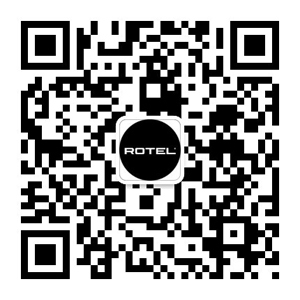 But for larger systems Rotel offers many amplifier models offering 6, 8 or even 12 channels of high quality amplification to power multiple rooms of audio. For even larger systems all Rotel distribution amplifiers feature a “daisy chain” output link to allow you to link together multiple amplifiers to expand the system. Another important consideration is size and ventilation requirements. When designing large audio systems it is important to have everything fit into an equipment rack; “rack real estate” can quickly become precious! Filling most of the rack with just the amplifiers is not ideal as this limits available space for everything else in the system. Additionally, heat can become the enemy of long component service life. Traditional amplifier designs produce a lot of heat, requiring special ventilator components in the rack that take up even more space. Rotel’s RKB series distribution amplifiers feature an efficient Class D amplifier design which runs cool and includes built in fans to help maintain that temperature no matter how loud you play the system. 8 channels of amplification, in either 50 watt per channel or 100 watt per channel designs, are fit into a compact 2 rack space chassis so it isn’t filling up the equipment rack. Our 12 channel RMB-1512 is only 3 rack spaces high, yet it provides 100 watts per channel of musical power to power six or more rooms. Other handy features for whole house audio amplifiers include signal sense, which saves energy by having the amplifiers automatically power themselves up when a music signal is detected, and power themselves off after about 10 minutes of no activity. A 12 volt trigger input offers similar functionality but instead of using the audio signal to power the amp on and off, it relies on a 12 volt input that is provided by a control system or preamp. In a typical stereo or home theater system, the preamplifier’s job is to provide connectivity for your music or theater sources (Sonos, Blu-Ray Player, etc. ), and to provide volume control for the system. When working with one system in one room this is simple enough. When designing a system for the whole house things can be more complicated, particularly if you desire control for lighting, shades, security and other aspects of a fully automated home. Specialized products have been developed to provide these features. From the music standpoint, you should consider what sources will you be listening to, and if you want the ability to listen to different sources in different rooms simultaneously. Many people think they should have the ability to listen to “everything, everywhere” but in fact rarely, if ever, listen to more than one source in one room at a particular time. New, cloud based source components can provide a vast array of music sources, including music services like Pandora, Spotify, Tidal and others of your choosing, in simple, app controlled products that need only be connected to amplifiers and speakers to form a complete whole house solution. One such source might be fine for an entire home (and Rotel whole house amplifiers provide a convenient “link” feature to share sources across multiple room), or you might want several to provide different simultaneous sources in different rooms. In terms of controlling the system, there are various methods including remote controls that operate on radio frequencies (RF) or WiFi so you are not limited by walls or other obstructions, or installed in-wall keypads or touchscreens, and/or apps for your tablet or smartphone. Simple systems have only a volume control in the wall, but require you to visit the main system to change sources. Still, this can be satisfying for many people. A whole house audio system does not have to come at the expense of a home theater or separate stereo system. It is not unusual at all to have a home theater in one room and incorporate this into the whole house audio system. For example, you can have one unified remote control or tablet app that controls both the theater room and the kitchen system, and you can share a source connected to the theater to the patio speakers. Similarly, perhaps you want to play music from one source throughout the entire house, including the home theater speakers – this is also possible. While this is a topic that too broad to go into many specifics, we hope we have given you just a little bit of insight into the possibilities and benefits of a whole house audio system. We encourage you to discuss this with your local Rotel dealer and to have them show you the possibilities in your own house!